Sea of Thieves is a grindy game where even high level quests can grant only a pittance of gold and reputation. 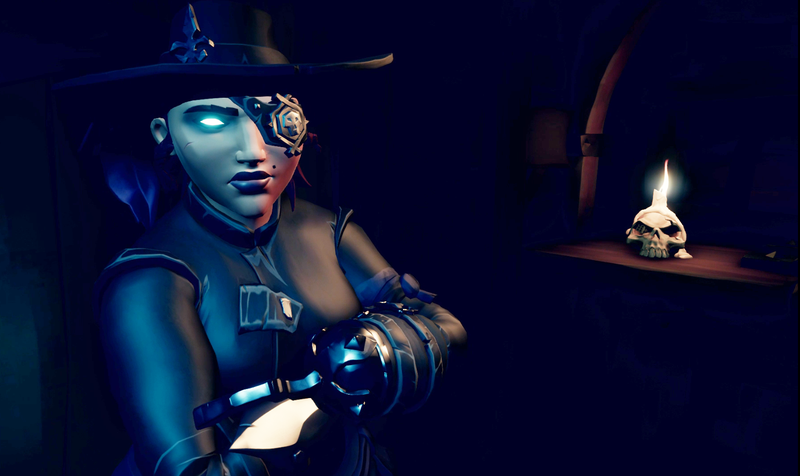 One dedicated streamer has reached maximum reputation with the game’s three factions to become a pirate legend and unlock a secret hideout. Prod1gyx did receive help from viewers, who farmed treasure for him before he joined their crews so he could turn in the loot for the reputation boosts. In a game about pirates, this kind of trickery might seem fitting, but it does make the feat less impressive than if he’d endured the grinding and done the full legwork alone. Players on forums such as Reddit and other social media sites have started the hashtag #NotMyPirateLegend, calling on Rare to avoid conferring further in-game status to Prod1gyx. In addition to bragging rights, Prod1gyX received a special outfit and a new shanty to play on his instruments. That shanty was the key to solving the riddle the Mysterious Stranger gave him. Prod1gyX worked with his stream viewers for hours before realizing that all he needed to do was play the new song right inside the tavern with the Mysterious Stranger. It revealed a hidden staircase to an entirely new area: the Tavern of Legends. The underground grotto holds ghostly merchants and a bustling tavern for players to explore. Most importantly, it is where players can find the Pirate Lord and accept legendary voyages that combine aspects of all mission types into grand adventures, although it’s not entirely clear what the rewards are yet. For now, we’ll have to wait for Prod1gyX to complete those voyages while waiting for new pirate legends to reach the tavern and discover what else the game has to offer. UPDATE (April 2, 5:50PM): As reported by Polygon, another streamer named SniperNamedG has also become a pirate legend, prompting some to call him #MyPirateLegend.